Whether you are a Studio owner, or are new to Pilates, we can fulfill all your Yoga Pilates equipment requirements. 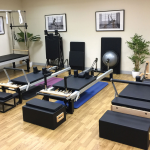 Pilates-Mad offers Europe's most comprehensive range of studio quality mat work props, whilst sister brand Align-Pilates has a complete range of commercial quality Pilates apparatus, at the most competitive prices in Europe. What are you mad about? Looking for Pilates apparatus equipment? Look no further, Align-Pilates is a leading UK & EU brand of Pilates studio equipment. 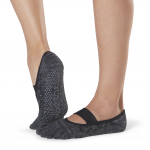 ToeSox truly are the perfect partners for Pilates or Barre. With the non slip grip soles and ability to spread your toes still, you are sure to stay in place as your practice. 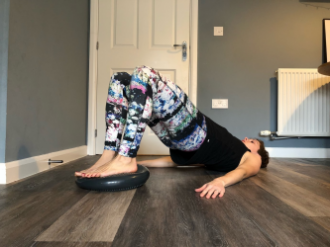 Pilates rings, or magic circles, add a whole new level to your Pilates practice, they add further resistance to standard exercises to make them a lot tougher! 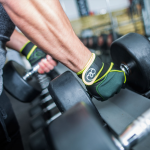 Choose from sprung steel or foam covered flexible plastic. 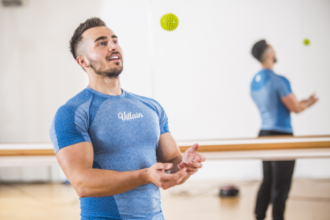 In our range of Yoga Pilates equipment, balls are an essential! 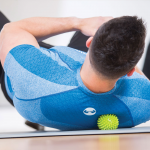 From Swiss balls to over balls to really challenge the core or provide support during your Pilates workout or class! Adding Pilates weights to your routine is a great way to add that extra bit of challenge for yourself, or for clients. A Pilates Mat is always a must! We have a wide selection available from the perfect mat for beginners to the ultimate mats for Studio use. Take a look.